A photo of the decease eagle from Hornby Island, released by MARS Wildlife Rescue Centre. MERVILLE, B.C- Four eagles have died in northern Vancouver Island communities in recent days. According to Kiersten Shyian, an animal care tech with MARS Wildlife Rescue Centre, the first confirmed lead poisoning death was on Hornby Island. Three more eagles are suspected to have died due to the same cause. Those three other cases were in Gold River, Black Creek, and Quadra Island, with the Quadra death reported on Tuesday. Testing will be done on the three carcasses in the near future, in order to get the exact cause of death. Meanwhile, six eagles down in the South Island are recovering after being affected by an unknown poison. Isaac King, of the Raptor Rescue Society, says the birds are all recovering and he hopes they can be released in the coming weeks. 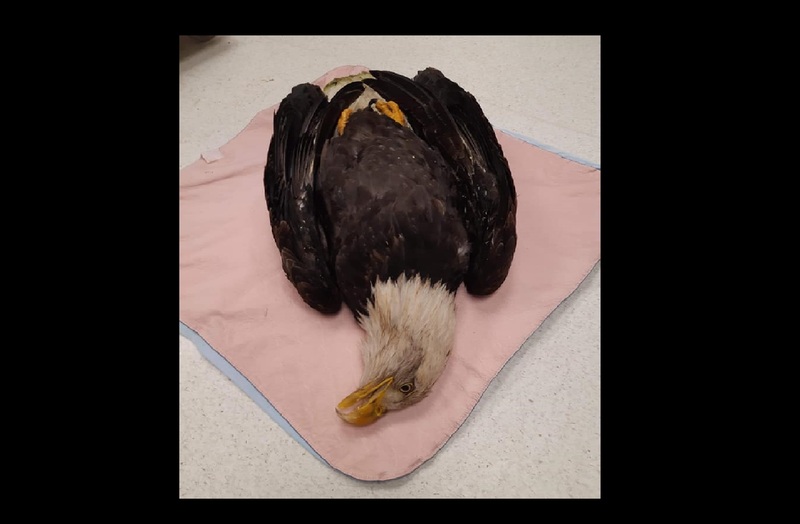 He says the event, that resulted in the death of half a dozen bald eagles and sickened six others is under investigation by the BC Conservation Officer Service. The society is hoping people will take it as an educational opportunity to dispose of items appropriately. 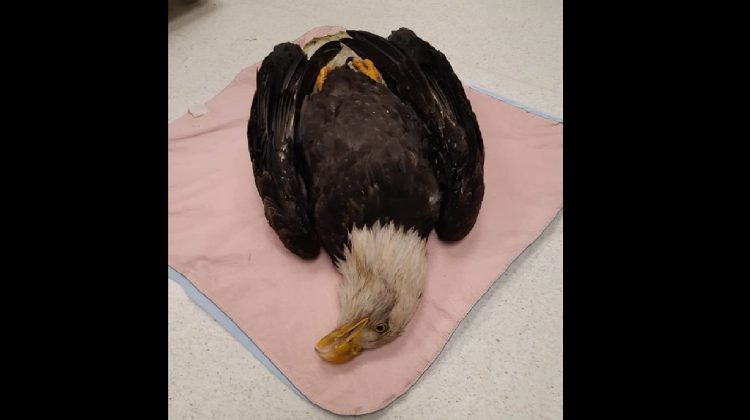 There are allegations that it was a euthanized farm animal whose remains were not properly disposed of that led to the sick or dead eagles but the conservation service won’t confirm that.